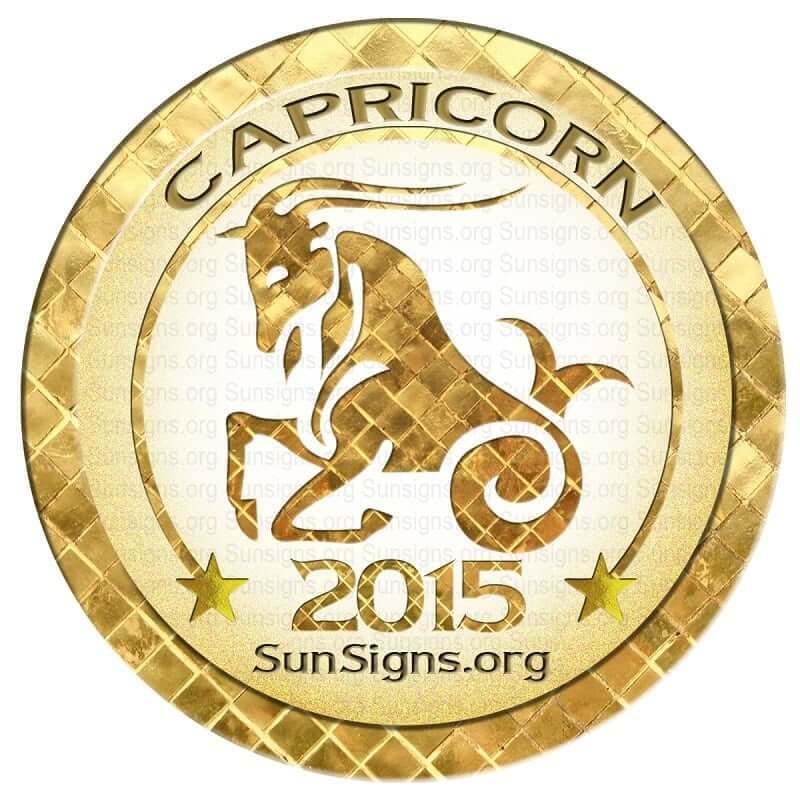 The Capricorn horoscope 2015 predicts that this will be a year of change for people born under this sun sign. You’ve given up trying to change the world and instead are working on changing yourself. Financial stability is finally within your grasp and you will be making big decisions regarding matter of the heart. You are working towards realizing your ideal goals and becoming the person you’ve always wanted to be. You may find yourself feeling a little more pragmatic than usual in 2015, Capricorn. Always a realist this year you’ve come to the conclusion that you can’t change the world and all you can do is adapt. Because of that you’ve decided to embrace 2015 as the time to make big changes in your life Capricorn. You’re looking towards the future and keeping an eye on the big goals and if you have to make changes in your life to achieve them, you’re OK with that. Get your 2016 Chinese horoscopes right away! You’re ready for a change Capricorn and your romantic life is just area of your life where you are going to implement those changes. If you are single, this is the time to pursue a new relationship. You have a lot to offer the world and there is someone out there just waiting to meet you. The 2015 Capricorn horoscope for love forecasts that if you are in a relationship, you may find its make or break time. This is a great year for those born under the sign of Capricorn to tie the knot. It’s also a good time to re-affirm your existing commitment. Let your partner know how much you value them. However, if your relationship is not working, this is the time to cut your losses and walk away. Your career will be one of the aspects of your life undergoing big changes in 2015, Capricorn. Your career has been in a state of flux the last few years, but this is the time to pursue something steadier, even if it means changing fields. The 2015 Capricorn career astrology forecasts foretell that you’re ready to take on a new level of responsibility and have an eye towards a management position. By the end of 2015, you’ll feel much more secure in your career path and will feel more confident planning for the long term. To further your career goals, you’ve decided it’s a good time to boost your knowledge and skills. You’ve always had a thirst for knowledge Capricorn and now is the time to indulge in. Take a course, start night-school classes, or even just start reading up on a subject that interests you. Whatever path your quest for self-education takes, you’ll be better for it in the long run. Since your job situation looks to become more stable in 2015 Capricorn, so do your finances. Money has been sporadic the last few years and you’ve learnt to make your dollar last as long as possible. In 2015, according to the Capricorn money horoscope, you will be able to ease up a little bit as money will be coming in on a more regular basis. This is the time to pay off your debts and start setting up money aside for the future. You’re making a lot of changes this year Capricorn and that includes your lifestyle. You’ve decided to get serious about health and watch what you eat, as well as start a fitness regime. It will be hard work, but the pay-off will be worth it. By the end of the year, you’ll feel better than you have in a long-time. According to 2015 Capricorn astrology predictions, this year you will be able to see through people who are trying to make a fool out of you. Maintain cordial relations with everyone but do not let them take advantage of you. This is the year to give back to the society. Do not let go of opportunities where you get to learn a new skill. This is a good time to do a new course that can help you in your career. If 2015 is a year of change, why not add a change of scenery as well? Your career should offer up some opportunity for travel and this is the time to take advantage. You may also want to travel for pleasure at some point this year as well. It’s a good time to see the world and learn from other cultures. January will be a month of personal challenges. You will be ambitious and selfish to achieve your goals. You’ll want to be cautious at the beginning of the year, particularly in February. Ideas that seem great on paper may end up being a source of tension. This is the time to think carefully before you act. In March, you may face some tensions at home and you will have to pick your words carefully as emotions will be at an all-time high. In April, you’re feeling everything very deeply right now Capricorn and that can make even little issues feel like big ones. By June, you’ll feel more committed to your relationship than ever before. This will be a socially active period for you. July is the right time to start concentrating on your career even though you have many parties to attend to. Summer is a good time to get your financial house in order. August is a particularly time to consolidate your debts and settle existing financial commitments. September will see changes in career. Family will be supportive. October will bring progress in jobs and improvement in finances. The fall will be fairly uneventful up until November, where you will be likely dealing with some issues on the career front regarding control and conflicting personalities. December is one of those times when you have to accept that you can’t change the world around you, only yourself and your actions. For those born under the Capricorn zodiac sign, 2015 will revolve around change. Capricorn horoscope 2015 forecasts that the focus will be on self-improvement and advancement. Travel, financial security and romance all factor heavily.